HBO’s Game of Thrones, the most popular TV series of all time is coming back April 24. The Season 6 trailer was viewed more than 30 million times in less than 24 hours; apparently everybody in the world wants to see what the new season will reveal! The good news? Season 6 will be amazing. The bad news? Not everybody can access the show. It all depends on where you live. 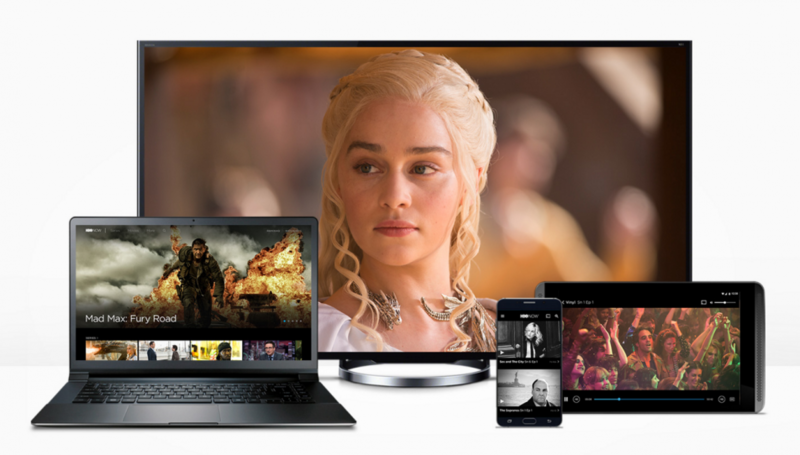 US residents can watch Game of Thrones through their cable TV provider, and can stream the show on computers, tablets, and other devices using the HBO GO app or the HBO NOW service. A cable subscription isn’t required. But if you live outside the US, you can only access the show through your cable TV provider. If you don’t have cable TV, you’re officially out of options. However, unofficially, you can access Game of Thrones, if you know how. This guide explains the steps you can take to get Game of Thrones regardless of where you live, and even if you don’t pay for cable TV. US residents with access to HBO through their cable subscription can watch the series either on their TV, or by streaming the show using the HBO GO app. The app is free to subscribers and it works on most devices. Contact your cable company to add HBO to your service if you don’t already have it. US residents who don’t subscribe to cable TV can buy HBO NOW – a Netflix-like standalone streaming service – for just $14.99 a month. HBO NOW is sold by authorized providers, and they also handle the billing. Which provider you choose depends on which streaming device you use. 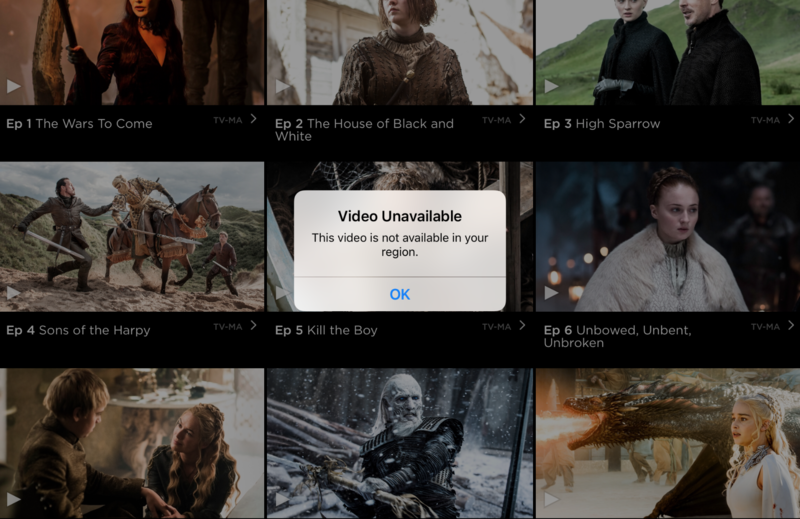 HBO restricts access to their services using geo-fencing technology. Upon receiving an access request, the geo-fence examines the IP address in the request to determine the location of the user. If it determines the request is made by a user located outside of the United States it denies that request, and displays an error message to the user. I first encountered this error while visiting Canada, but solved the problem by using a VPN service to circumvent the geo-fence. A VPN service allows you to virtually move to any country you choose by assigning a temporary IP address to your device. The assigned IP address is determined when you select your preferred location, and makes you appear to be from that country or region. I’ve used a number of VPN services in the last year and keep a list (Table 1) of those that work best with HBO NOW. HBO NOW is not available for use outside the US. If you don’t live there, you can’t subscribe to HBO NOW. Of course, there is a workaround. Here’s what you need to do. Open a VPN account and configure it to provide an IP address that geo-locates you somewhere in the US. I recommend you use one of the VPN services I’ve tested, which are listed in Table 1. They all work with HBO NOW and all have good speed. Open an account with an HBO NOW service provider that matches your device. For example, if you have an Apple TV, choose Apple as the provider. Launch your VPN and connect to your service provider’s US store. Your account must be a US account registered at the provider’s US store so you can download the correct app. You will probably have to provide a US postal address, and billing/payment info. Search online to learn exactly what you need to open a US based account with the provider you will purchase from. When your account is open, download the HBO NOW app to your device and launch it. Purchase the HBO NOW service. You will have to provide some information to complete the purchase, so have your payment and account information handy. Note: Most media players don’t allow you to install VPN. To use VPN with Apple TV, Roku player, or Amazon TV, you will need to install VPN on the router. Alternatively, you can launch the HBO NOW app on your tablet then cast the show to your media box using Airplay or Miracast. Remember, always use your VPN with an IP address that geo-locates you in the US to access HBO NOW content or to access your HBO NOW provider’s website. There are 3 ways to watch Game of Thrones. Which method you choose depends on whether you have a TV subscription, and your geo-location. If you have a cable TV subscription, you can watch the show on TV, on the HBO GO website, and on other devices using the HBO GO app. If you don’t have or won’t purchase cable TV, your best option is subscribe to HBO NOW, as outlined above. You can purchase episodes of Game of Thrones from Amazon, Google Play, or the iTunes Store, if you’re willing to wait a day or two after the episode has aired. Can I watch Game of Thrones on Netflix, or Hulu? No. Game of Thrones is not available on Netflix or Hulu.